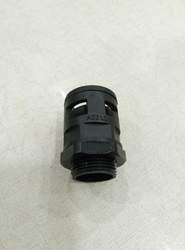 Conduit glands are connectors used to clamp flexible conduit-hose pipe. To match with the ever rising needs of our assiduous workforce, we are actively committed in presenting a wide spectrum of Conduit Gland. Owing to their longer life, these are enormously accepted. Together with this, these are properly checked and packed to retain their safety at the end of our customers. Karishma Electric & Trading Co. So many years of successful presence in the industry have given us the accurate knowledge of the demands and specifications of the customers. Therefore, we are indulged in manufacturing and supplying a best quality range of Polyamide Conduit Glands in the market. We have priced this product range very economically so that customers need not to worry about their budget. We are an exporter and manufacturer of Flexible Conduit Pipe Gland. 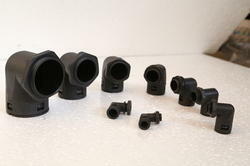 These PVC Glands are flexible and reusable as electrical insulating covers for cable connections. PVC Glands & Accessories fabricated by us are used for transmitting, joining, continuing and supporting electrical circuits.